The results of an RTÉ Red C/Late Late Show exit poll showing President Higgins at 58 per cent and Peter Casey at 21 per cent of first preference votes leading Sinn Féin’s Liadh Ní Riada at seven per cent. Posted in Misc and tagged Blasphemy, Presidency 2018 at 4:32 pm on October 26, 2018 by Admin. Said absolutely nobody this time, at all. PS I haven’t voted yet, but will later. I voted 1, 2, 3 for Gemma and put my X beside the NO To Blasphemy box. Hurray for democracy! The no to blasphemy X goes in the Yes box. Are you not one of Gemmas fans? This. Freeman got my second only in the hope she might get her few bob back. Other than her ‘eccentricities’, she’s done something genuinely positive with her life and seems like a nice lady. I hope she’s not left hanging. Higgins #1 all the way tho. Will be going over now in a while. Been a long time since I’ve been so disinterested in a vote. But I’d rather have my say than not. But there again, maybe you have had partisan roles to play in previous votes. Maybe you have a point. Certainly with the 8th ref. and the marriage ref. I felt very invested. But then, I felt very invested in the Lisbon treaty, and that was the first time I really began to take an interest in politics. And I’ve taken an interest ever since then. Including the last presidential election. But I take your point, in fairness. No. 1 Higgins. Voted yes. I probably still won’t bother my botty. SEE???!!!?!?! .. not the only one. Higgins, Ni Riada, Freeman and Yes. I have Ní Riada at 8/1 to finish 2nd. that was meant to be ‘Mmmm’? Snap. Apart from the bet. does everyone realise that the placings on the ballot are irrelevant? it only comes into play in the unlikely event that say your #1 drops dead before the coronation. there’s no transfers mullarkey here, it’s a single vote to give someone a job. That’s 100% incorrect. If the gap between MDH and Ní Riada, for example, is less than the sum of the other candidates after the first count they’ll eliminate and go through preferences until we have a clear winner. MDH was elected on the 4th count in 2011. Whoever has the least votes at that point gets eliminated and their second preferences get transferred to the relevant candidates. They can eliminate more than one at a time. Let’s say it’s MDH, LNR, Freeman, Casey, Gallagher and Duffy in that order after the first count and there’s no clear winner. 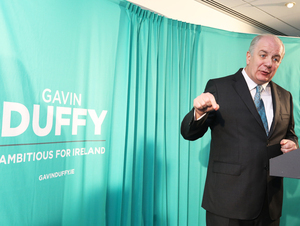 Duffy is eliminated but if his votes aren’t enough for Gallagher to catch Casey then Gallagher goes too. If his and Duffy’s aren’t enough for Casey to catch Freeman then he goes too meaning we lose the bottom three after one count. so just evenly divided each time..ok grand did not know that..interesting. I had asked the presiding officer about it and was told didn’t matter. I learned something now so ‘twas worth the vote for this if nothing else!! so (sorry to labour it) when the transfers are being distributed there’s no bias/weighting in that, y/n? In the example above they take the three Dragons and pass the votes to the first of the remaining three that appears in the preferences on each vote, i.e. any preference for another Dragon is irrelevant so they move to the next preference. Completely wrong. PR-STV applies to Presidential elections too. 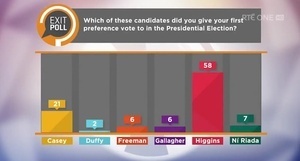 In practice though, if you vote Higgins #1 then your second preference vote will never get looked at (assuming Higgins is not outside the top 2 at any stage and will not be eliminated). In the last general election, my first preference candidate was the last candidate elected in a 5-seater constituency. This means my second and below preference votes were never counted. Second preference votes not being counted is not a big deal when there is only one person elected (as is the case for the presidential election). However, I think this is unfair when there are multiple people elected (as is the case in a general election). In my example, some people had a say in all 5 seats whereas I only had a say in 1 of the 5. A fairer system in a general election might be that everyone gets 5 first preference votes (in a 5 seater constituency). In that way, everyone has an equal say in all 5 seats. Eh no, that’s not how it works. Single Transferrable Vote. Your 1st preference got elected so your one vote was used to help decide one seat. It took their 5th preference to use their vote but they still only had a say in one seat. Just because SF never get any transfers doesn’t mean you should encourage others not to transfer! “figuratively speaking”. They do get some transfers, but relatively few. Absolutely and completely wrong. I suggest you look at the results of the 1990 Presidential election to see PR in action. Lenihan topped the poll but Mary won with transfers from Austin Currie. Michael D 1, and no others, and Yes. People getting that wrong used to wreck my head when I lived there. There wasn’t even one Ché, you’re not listening to me…. Or a siiner in Tyyrelstoown. I always vote all the way down the ballot because there’s always somebody who is my least favourite candidate. The further down that person is in my ballot, the less likely they are to get a share of my vote. If I just vote for a #1, I’m effectively giving each candidate apart form my #1 an equal share of my remaining vote. STV works best when you use your vote properly and vote all the way down. If you just vote 1 and leave the rest blank then your vote is non-transferrable so nobody gets it. If I only vote for #1 then everybody else gets an equal share of nothing. There’s usually somebody I dislike more than the others so I pass my remaining vote on to others so my least favourite gets less of my vote than the others. If I give everybody in the room nothing, you’re all equal.If I give everybody but you a fiver, you’re a fiver poorer than the others. An equal share of nothing is still nothing. Also, in the case where there are 6 candidates your 6th preference only matters if the other 5 are all eliminated meaning it doesn’t really matter. An equal share of nothing is indeed nothing, but I want one candidate to be worse of than the others. You’re right in that the chances of them being counted are slim but that’s not a reason not to use my vote properly. Also, my transfers might count if a candidate has a surplus. Sinn Fein were always great lads for advising people to vote #1 for Sinn Fein and then don’t bother with the others. Yes, if she is eliminated your vote dies with her candidacy. Always Wright is right. It’s genuinely best to run the ballot to the bottom. I appreciate is sounds counter productive but it’s true. This article explains it’s quite well. Higgins 1 and yes. I reckon we woke up the folks in our voting room. I really hope we don’t wake up tommorow wondering how we managed to emulate America with absurd voting. 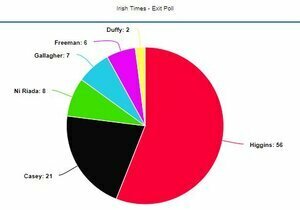 Just looking at the boards.ie exit poll. 1 for miggeldy, 2 for ní riada and 3 for freeman. To my eternal shame I panicked at the poll and forgot which lady was which. You fools are playing the game wrong. Give your Number 1 to the character least likely to win. Number 2 to the second least likely to win character. When the first character is eliminated your vote will transfer to the second least likely. The aim of the game is to see how many times you can get your vote to transfer. However, all you Beep Beeps only play the way you’ve been programmed to play. Which is to benefit the party system. WTF is going on with links? 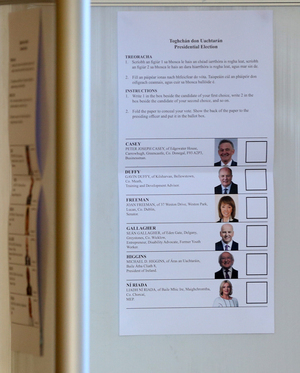 Not done yet, got held up in Dublin and only leaving now,so I’ll be a late late voter…. MDH #1 and Yes. Haven’t fully decided if I’ll give any of the others anything. Possibly… Freeman maybe, but none of the others are gettin’ nowt! I hope people didn’t literally write the word YES on their ballot but it would not surprise me if more than few spoiled their votes unintentionally. Poor turnout in my town at and by (on account) 6:30. I wistfully remembered thinking seven years ago, “sure Higgins will only be in for 7 years”. 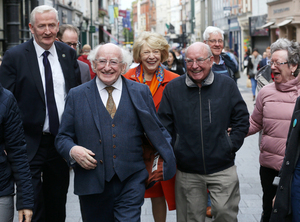 Higgins will win the election, his majority won’t be as comfortable as the pollsters were saying but he will still get most of the votes. I gave Casey a vote, for the laugh. It seemed appropriate as this whole election has been a joke so far. The referendum also was a farce. Nothing meaningful like a vote on neutrality or water et cetera. Just more bread and circuses for the masses. The MSM polls had Casey bottom of the heap, if he manages to get to 3rd place people will start to question their validity going forward. At least that is the hope. You understand that the President cannot do anything about neutrality, or water charges or the pot holes. That’s up for discussion in the GE. That why I said the referendum offered was a joke. But I did it anyway! I don’t know what came over me! 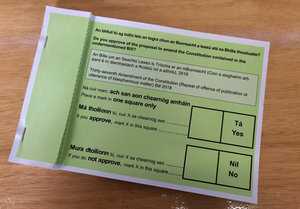 Voted Tá on the referendum and Liadha for President. I haven’t vote yet..have my polling card & all. Don’t think I’m ar-sed at this stage. They can elect blasphemy as the president for all I care. President Blasphemy seriously fupp yeah. Was very pleased to give Peter Casey my sixth preference. 21% for casey. Colour me surprised. All because he started talking trash a week ago. Horribly easy. He didn’t even have to promise to build a wall or anything. Like Status Quo over Led Zeppelin. I guess the only upside of a racist cretin getting 21% of the vote is that it will quieten for a while the litany of self-congratulation as nicest, most improved nation on earth. We have the potential to be just as dumb and nasty as anyone else. So 1 in 5 of us are racists or more likely fed up with the lefty bullpoo being shoved down our throats. Well done Casey. By that logic Topsy 4/5ths of us are perfectly happy in a world where it’s not acceptable to label or discriminate against an entire ethnicity, minority or gender. You know, that lefty bullpoo. Criticising a group of travellers isn’t racist. While Casey was wrong to generalise, the travellers in Tipp who boycotted good homes in the midst of a genuine housing crisis also behaved like entitled bottomholes. The fact that the MSM and the political system wouldn’t confront that reality handed Casey his 20%. Except he didn’t criticise a group of travellers. He had a go at the entire travelling community as people camping on someone else’s land and not paying their fair share of taxes. Higgins and Yes. Gave no other preferences. I always expected Higgins to win comfortably. I hope this poll is reflective of the overall result, I was hoping that Casey would maybe squeeze third place. If he manages to secure second all the better. It Will force politicians to address some of the points he was making. With a general election next year and Fianna fall looking to get back in there is every chance that they will. On a side note, John appears to be right in the election predictions he made last night. The biggest surprise is how poorly the Sinn Fein candidate appears to have done. 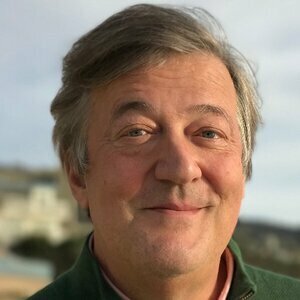 Yeah you know perfectly well the most likely outcome is that someone will try to capitalise on anti-traveller sentiment to create a solid reliable base of people aggrieved that other people disagree with them and they certainly won’t be interested in nuance or fairness when it comes to the issues that aggravate them. 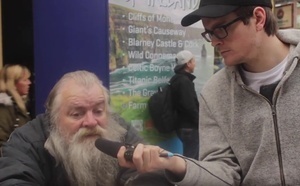 I heard the talking heads on R1 this morning explain that the data they have show something really interesting – that of the traditional SF voters that turned out to vote yesterday only HALF of them voted for Ni Riada. I was referring to John Ryan’s comments on broadsheet on the telly last night. I didn’t slide into a state of full-blown narcissism where I start referring to myself in the 3rd person. Ach, no explanation was required, twas understood. and by others I’m sure. Lessons: low turnout works in the favour of the illiberal and the reactionary. Always. No matter how bad things seem in politics, cynicism and disengagement will always make it worse. Poor quality candidates encourage this sort of nonsense. Higgins played a canny political game by minimising direct engagement with the other candidates but that left him poorly positioned to push back when Casey blundered onto a hot-button issue. Make what worse? If you don’t care who becomes a powerless representative living life on the gravy train, thanks to the taxpayer, whoever wins makes no odds to you, no? Have you any reason why I should care besides, “you should vote for the sake of it”. And I don’t care enough to be cynical. If it was a traveller going for president, even though they’re mostly a scourge on society, that’d probably motivate me enough to interrupt my evening. “the way you see us”. What are you talking about you vitriolic little whingebag. I use my vote when I think it matters. The president has fupp all powers & you haven’t convinced me otherwise by trying to shame me for not giving a fiddlers. Thanks though you’ve given me reassurance I was right not to bother. You’ve also given me reassurance that you were probably right not to bother, for what it’s worth. You got personal for no reason. I asked a genuine question. Nothing would be made worse by this inconsequential election. You’re just full of hot air & indignation about something..you’re just not quite sure what it is. Um, fair enough. Sorry I got personal anne. “continually astonished” are we? Does Mickey’s high falutin, extravagant living make you feel astonished? Jetting up the road, coz it’s handier, like he’s Snoop doggy dog. Like traffic is for the little people. This is Ireland..Not the U.S. People here tend to be less gaudy. You could house a dozen or two homeless families up in the Aras instead of his little tea parties that cost a few hundred grand a year. Go away with telling us what people value since the bust. They still have a deep love of parochial bitterness, it seems. Actually Anne, the exit polls had expenses at less than 10% as a reason to vote. So yeah, thats not what people value , just you. Sorry I don’t get that one, was there a vote on changing the expenses? Or do you meant a reason ‘not’ to vote. Low turn out Rotsey. Did exit polls predict that? I didn’t say the president creaming it in the Aras was why I didn’t vote btw. Learn to read. Hearing on the radio that there were write-in votes for Gemma O’Doherty. Some daft claims about what low turn out resulted in, which ignores the hammering both the hard Left Shinners took, and those three Right wing Dragons also took. Before the turn out was known, it was understood Casey was going to do the second spot, with some polls having even put him in the number one spot. It was nothing to do with turnout that Casey got second. Low turn out = “poisonous apathy” according to that windbag above there. We’re all poisonous.. poisionous ya hear! Aye! And a bang of know-it-all bitterness, if ya ask me. I await your defence of apathy as benign and beneficial. You’ll always be President anne D Blasphemy to me.